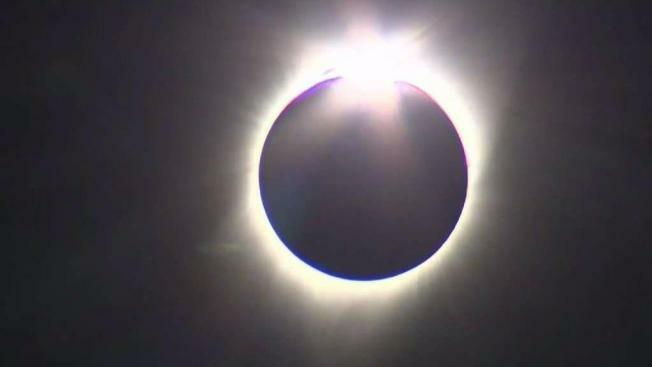 People across the United States experienced Monday’s solar eclipse, a rare event that prompted plenty of watch parties, including Massachusetts. People across the U.S. experienced Monday’s solar eclipse, a rare event that prompted plenty of watch parties in New England. At MIT, big crowds were on hand for their free viewing party. From Cambridge, a maximum of 63 percent of the sun was blocked by the moon at 2:46 p.m. The event at MIT's Kresge Oval started at 1:30 p.m. The eclipse happened over 2 1/2 hours, with 2:46 p.m. being the time of maximum coverage. Two telescopes at the school provided an even better view. Since it’s dangerous to look directly at the eclipse, you needed special viewing glasses, which were provided by MIT. Many online vendors sold out of the glasses and officials warned to be on the lookout for counterfeit glasses. Click here for more places holding special events in the Boston-area. Interactive: How Old Will You Be to Witness the Next Total Solar Eclipse?